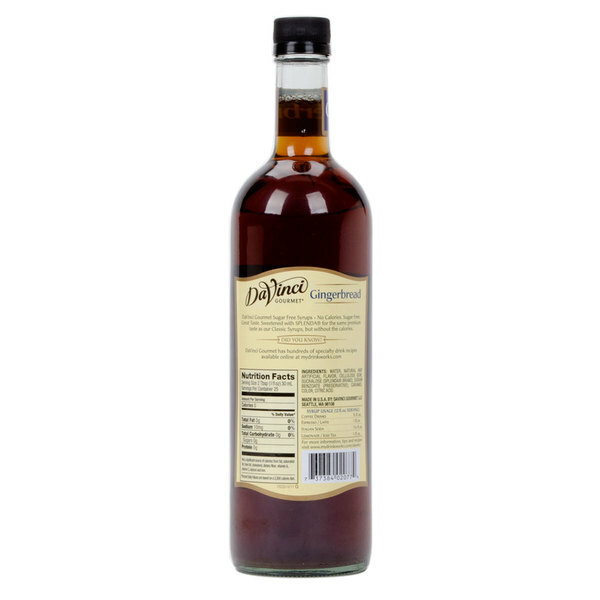 Enhance your drink menu with all new items for the winter holiday season when you use this DaVinci Gourmet gingerbread coffee flavoring syrup! It's perfect for making warm and inviting cups of coffee with a sweet yet spicy kick of gingerbread flavor. You can also use it to bake unique gingerbread cakes and cupcakes, or other seasonal dessert items. Sweetened with sugar free, no-calorie Splenda Brand Sweetener, this sugar free blend is sure to be a treat for your health-conscious patrons! Splenda tastes like sugar, giving you great flavor without the calories. 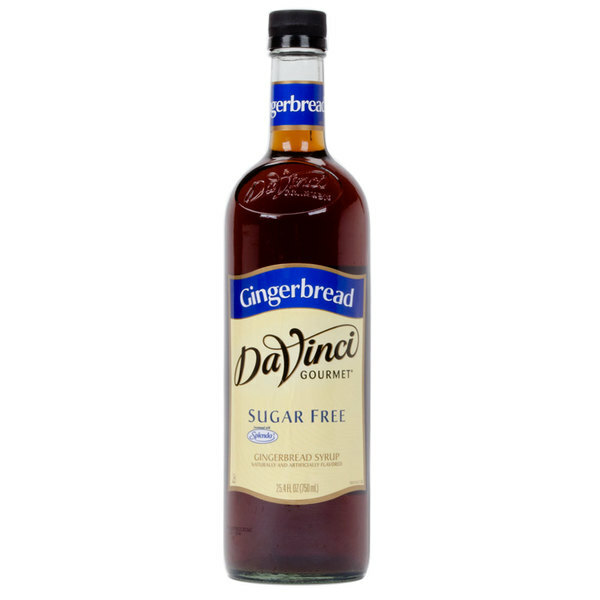 Sold in gourmet coffee shops, specialty food stores, food service outlets, and grocery stores, DaVinci Gourmet products, like this sugar free gingerbread flavoring syrup, have a long history of commitment to quality and superior taste.